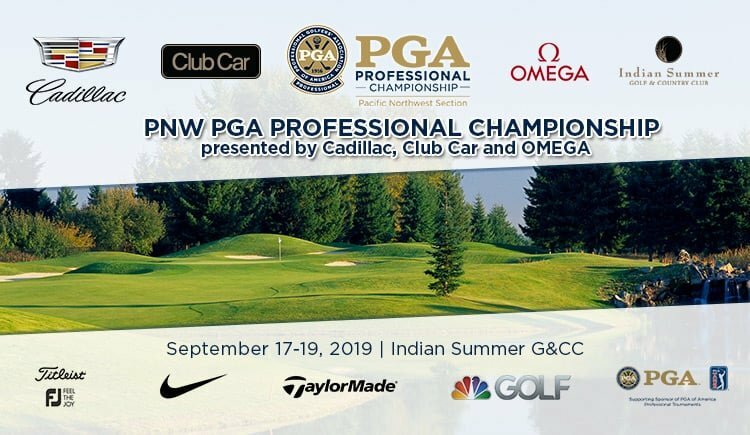 The PNW PGA Professional Championship presented by Cadillac, Club Car and OMEGA is only open to PGA Members who are employed and classified in one of the eligible membership classifications (see PDF) as of September 4 including LMA and LMMA. The PGA of America Headquarters records must reflect this status at time of entry and on the Section entry deadline. The top seven qualifiers will advance directly to the 2020 PGA Professional Championship presented by Cadillac, Club Car and OMEGA, held at Omni Barton Creek Resort & Spa in Austin, Texas on April 26–29, 2020. Additionally, the low 20 scores at the 2020 PGA Professional Championship presented by Cadillac, Club Car and OMEGA will earn a place in the 102nd PGA Championship at Harding Park Golf Club in San Francisco, CA, May 11-17, 2020. In making a stroke, the player must use clubs that conform to the groove and punch mark specifications in the Equipment Rules that took effect on 1 January 2010. Ping Eye 2 irons manufactured before 31 March 1990 with a groove spacing to groove width ratio of 2.3 to 1 are allowed for play under Rules of Golf, even when this Local Rule is in effect (See Model Local Rule G-2 in Committee Procedures). Release date: 8/15/2019. Reservations not made by this date may be subject to a higher room price if available. The CPC event was combined in 2000 with the Section Championship and is now the Pacific Northwest Section PGA Professional Championship (PPC).